safely without touching or squishing even the toughest engorged ticks. 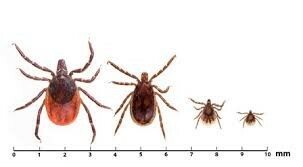 TickKey is 99.9% effective in the safe removal of all sizes and types of ticks on both people and pets. It's well known that tick bites can cause disease. 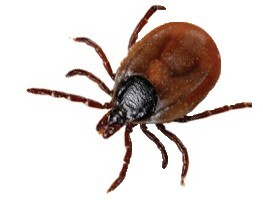 It is therefore important to remove a tick as soon as possible. The Tick Key offers many advantages. The operation is so simple that even a child can use it. No fumbling with lasso's, wagling or turning. Simply put the slot of the Tick Key over the tick and with a short slide movement the entire tick will come out of your skin. The Tick Key weighs only 5 grams, but is made of extremely strong anodised steel. It fits on any key chain and is always ready for use. Wherever and whenever! See on "how it works" how simple the Tick key works. 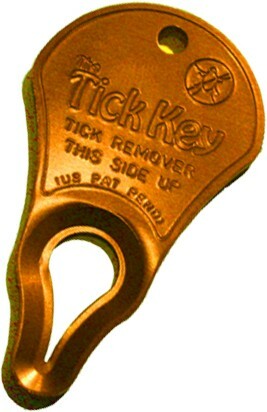 The Tick Key is also great for removing ticks off (domestic) animals. In our "Video" you can see for yourself how quickly ticks can be removed of the skin of a dog.